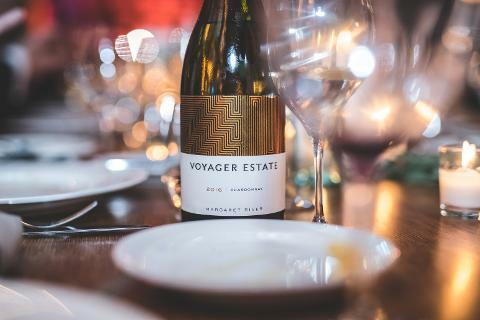 Our Estate Tour, Tasting, and Discovery Menu offers the full Voyager Estate experience, from vine to wine, and garden to table. 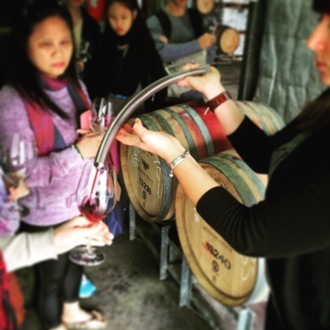 On our popular winery and vineyard tour, you’ll see where it all begins, visit our large underground cellar, and taste wine straight from the barrel in our barrel hall. Plus, you’ll discover a bit about our history along the way. Once you’ve seen where the wine comes from, it’s time to taste them. 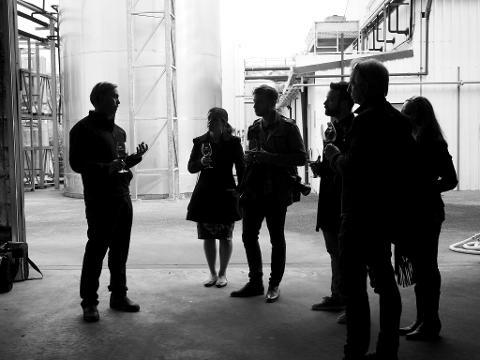 You’ll be taken through a guided tasting in our beautiful Cellar Door. You will then move into our stunning Restaurant for our signature menu, the 7-course Discovery Menu, where each course is inspired by one of our wines. Head chef, Santiago (Santi) Fernandez and his team also take inspiration from the vineyards and winemaking process in creating dishes that bring a small part of our Estate to the table. Each dish will be paired to an aged or limited release wine. Please note this tour is not considered suitable for children. Individuals who travel with a wheelchair or experience limited mobility can be accommodated, however please contact us directly so that we can make appropriate arrangements. An alternative experience may be offered in the event of bad weather.